This week I'm featuring our glass artists! 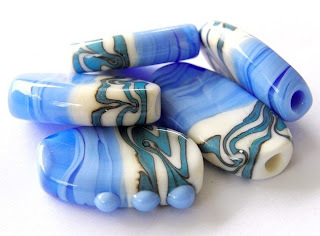 Stunning ivory, light blue, and turquoise handmade glass beads! Wonderful summer colors that would fit so beautifully into lots of creative ideas! Outstanding glasswork and colors! 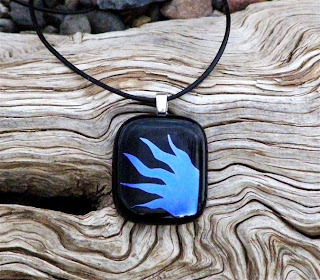 This gorgeous black, fused glass pendant has a blue dichroic design that is completely original and unique! Put this stunning pendant on and enjoy all of the compliments! Absolutely beautiful! Joyful, indeed! 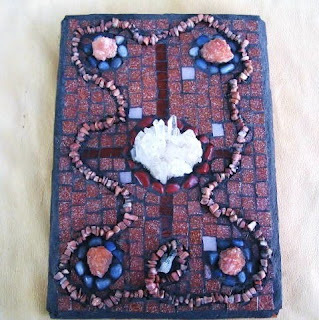 From the focal center crystal to the rocks and stone beads wandering around this beautiful piece, you will find yourself on a wonderfully, happy journey! Guarateed to lift your spirits and make you smile! Absolutely wonderful! 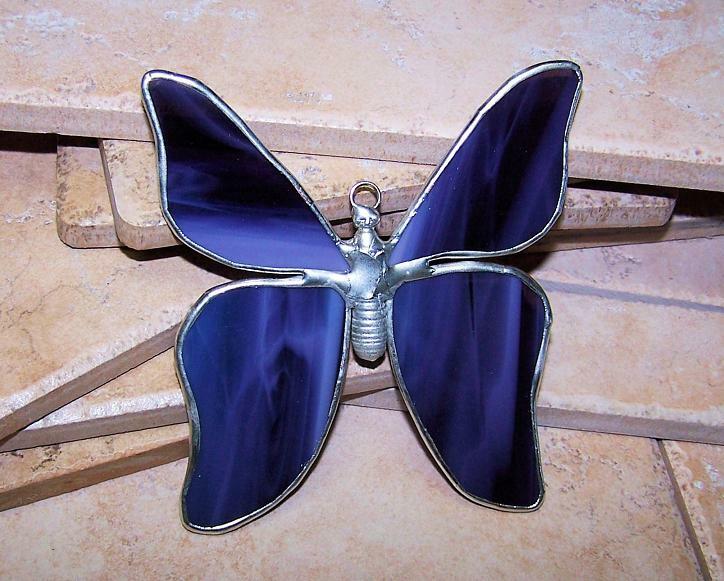 This gorgeous butterfly is created in the traditional tiffany stained glass method and would look absolutely stunning hanging - well, anywhere! A truly outstanding piece! Very nice feature, thank you so much for including my crystal maze. PS I can never make the profiles work so I go with anon. Wonderful picks from a very talented group! Some of my favorites from everyone's shops. Debra this is lovely! I love blue anyway, those beads by Bindu totally took my breath away, they are so amazingly beautiful! It is hard to believe that Greenhouse Glassworks pendant is made from glass. It is so beautiful, the blue and black contrast. Joyful Arts has developed mosaics from the little ashtrays we made in school and scouts to this fine wall art piece...wonderful!!! Who would not love to have one of Mountain Glass Designs Butterflys to hang in their window or display as home decor, the colored glass is so stunning! Well Debra you have done it again, another lovely tribute to the Etsy Dirt Road Artists Team! Gorgeous selections that I'd love to have for myself! What wonderful items! Thanks for including my pendant!